The first federally issued postage stamps were issued 55 years later in 1847. Previously rates, dates and origin of the letters were written by hand or in combination with a handstamp device. There were stamps known as “locals” or “provisionals” that were issued by private companies, independent carriers, or local postmasters, but they were not endorsed by the federal government. In 1845 an Act of Congress called for uniform postal letter rates across the country, lowering and simplifying rates. In March 1847 Congress approved “an Act to establish Post Roads and other purposes”. 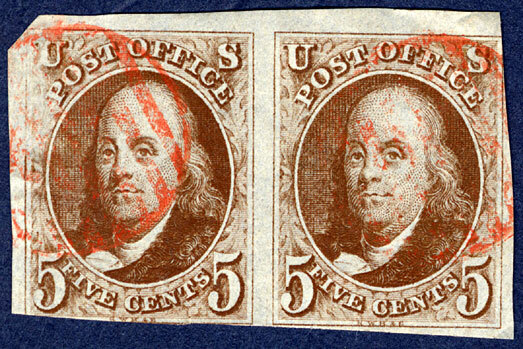 The production and sale of stamps were one of the “other purposes”. 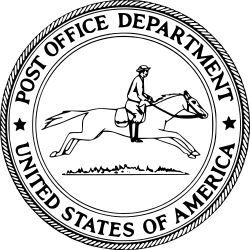 The Act of March 3, 1863 based postage for a letter on its weight and eliminated all differences based on distance, thus providing universal service to customers no matter where they lived in the country. At that time the price of a letter stamp was set at $.03 for ½ ounce and $.06 for 1 ounce. In 1885 letter postage was lowered to $.02 for 1 ounce. In the 1900’s it began a slow climb to $.33 by 1999. And today it is $.50. When was Standard Class mail created? The Act of 1863 also created three classes of mail: First-Class Mail for letters, second-class mail which covered publications issued at regular periods, and third-class mail which included all other mailable matter. The Classification Act of 1879 better defined the classes and created a fourth class of mail – First-Class for letters, second class for periodicals and newspapers, third class for bulk mail, and fourth class for books and other materials. Before 1845 all advertising circulars, pamphlets, hand bills and lottery bills paid postage at letter rates. In 1879 Third Class postage was set at 1 cent for every 2 ounces for publications designed primarily for advertising purposes. In 1925 Congress raised the rate for advertising circulars to 1.5 cents for each 2 ounces. Both business mailers and the Direct Mail Advertising Association (now the Data and Marketing Association) complained about the differential treatment of advertising in the second and third classes. And so began the saga of direct marketers versus the United States Postal Service regarding postal rates for direct mail. For the current postage rates, download J&Q’s FREE Direct Mailer’s Deskside Companion – a handy reference guide with postage rates and other mailing reference information.